The superconducting magnet dewars product line was designed specifically to facilitate superconducting magnet research. 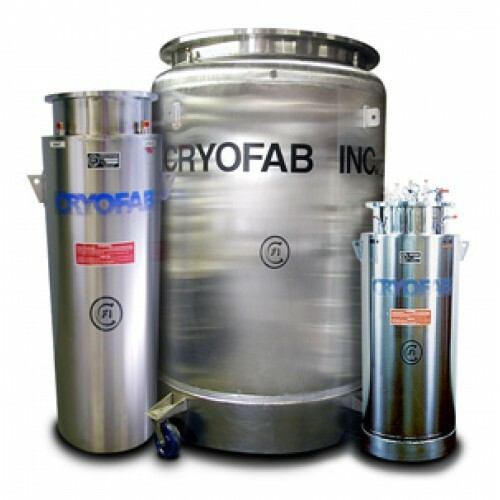 The same advanced engineering apparent in Cryofab's other product lines is applied in the design and construction of the magnet dewars. Our superconducting magnet dewars are fabricated entirely of stainless steel and will accommodate coils of all generally available magnets. 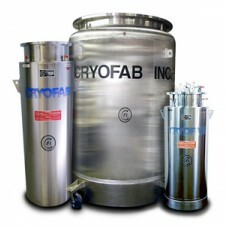 Most of Cryofab's superconducting magnet dewars are based on a design-your-own approach. Versatility in fabrication and design enables Cryofab to cut engineering cost regardless of dimensions, capacity and shielding process requested. This translates into savings of time and money for our customers. Another choice is LN2 shielding or vapor shielded. The LN2 is the traditional way to achieve optimum liquid loss results. This is four wall construction with the liquid nitrogen employed as an intermediate heat shield for the helium reservoir. This dewar features all welded construction continuously tested as it is assembled. The model designation for this type of vessel is CSM. The vapor shielded vessel uses a state of the art insulation system incorporated with welded construction to achieve an efficient yet maintenance free dewar. Liquid helium loss rates are slightly higher with this product but the trade off for lower pricing and less maintenance have made it a popular choice. The model designation for this vessel is CVSM. Our superconducting magnet dewars have three main configurations to choose from, the most common being the straight bore in which the inner walls run down to the bottom without intervention. The second choice would be a belly/tail dewar. This design enables the experiment to have a designated liquid capacity located over the magnet, which is situated in a tail section. Again, all dimensions, neck, belly, liquid capacity, tail section can be fabricated to meet customer requirements. The third configuration is a reservoir type where the neck is designed to be wide enough to place an experiment into the vessel, yet the reservoir section is wider to accommodate a larger liquid volume. Diameters from 2" up to 96"